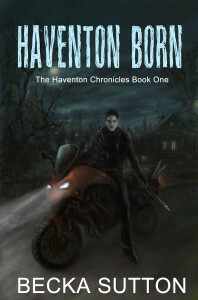 I’ve finally approved the paperback version of Haventon Born. It’s currently only available through Lulu’s site, but I will vouch for them. I have purchased many books from them without problem. The normal price will be £9.99 but until 8th March you can get it for the introductory price of £7.99. That’s a massive 20% discount. (Obviously you also have to pay postage). Want a signed version? Drop me a line and we’ll arrange something. It will cost a little more as there will be two sets of postage to cover. Been meaning to get the ebook? Here’s links to all the places you can get that. Kindle (click on your local Amazon site): US, UK, Germany, France, Spain, Italy, The Netherlands, Japan, Brazil, Canada, Mexico, Australia, India. Don’t have a Kindle? You don’t need to buy one, there are free reading apps for Apple, Android and Windows available. There should be a link on your local Amazon Kindle store that you can use to get it. I generally read Kindle books on my android tablet).